What do I need to feel like I belong? “Where” and “How do I belong?” are also questions that always come up with my clients. The need to belong is universal. When women ask that question about their work, as they do not feel seen, heard or acknowledged anymore for their contributions, it is the moment they start to disengage and likely look for alternatives. In the workplace is a major motivator and allows employees to feel like they can be their authentic selves and therefore has a significant impact on performance and retention. Enables us to cope better with difficult situations and emotions. 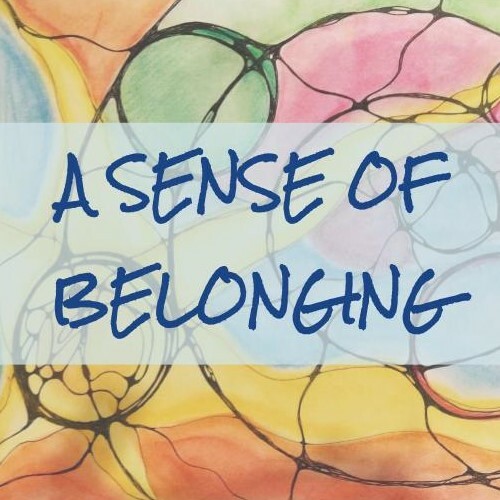 The question “How can I belong” is a crucial moment in every coaching process as belonging has a lot to do with what we value, what gives us meaning and where we enjoy our life (and work) to the fullest. Dublin for example always gives me a strong sense of belonging as it aligns with a lot of my values, needs and what I treasure in relationships. Dublin is a place where I can be in flow or as I say movement, the city is walkable (and that is important to me), a lot of my friends are there (meets my need and value for connection), it has a lively art scene (that is aligned with my curiosity and creativity). I recently interviewed a woman who designed her job to ensure that at her business site the people were seen, heard and included. She understood very early on that to flourish as part of a multinational company, you need to ensure that the people in your location feel connected and create their own community while at the same time being part of a larger network. What do you need to feel like you belong? And what resources are available to you? Are interested in a complimentary online workshop where we will explore what is needed to create a sense of belonging? “This exercise was very relaxing and easy. Nic's guidance is full of wisdom and reflection. I look forward to continuing my growth with this practice. I highly recommend this class to everyone as it applies to whereever you are in your life today. “ - Karen A.
Karen was part of a small group that I guided through a visualization process to gain a sense of belonging. On a side note: While I was in Dublin I created an Instagram series #DublinTalks #NicBliss, as this city didn’t seem to stop talking to me and I felt totally seen and understood.